Gin has percolated deeply into my dreams as of late. I’ve been dreaming about a perfect Gin and Tonic that I enjoyed down in Charleston, SC during the recent Wine/Food Festival. There wasn’t very much of it, Gin can be very dangerous in hot weather. 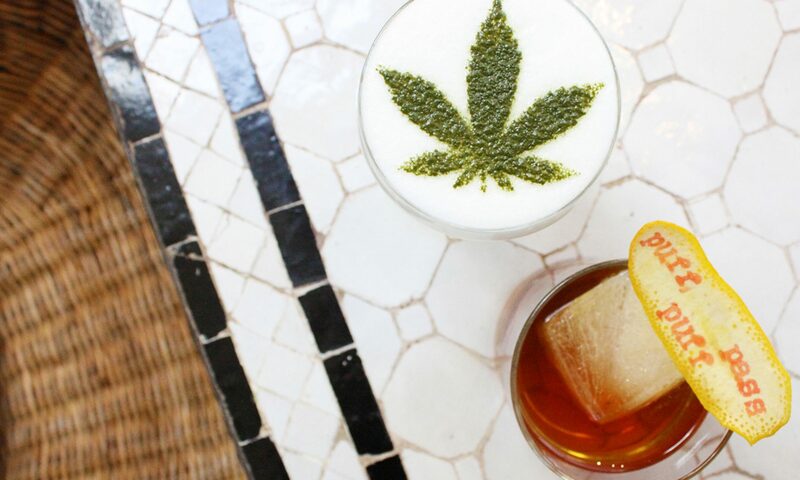 There is something about being in the humidity and saline tinged air that drives a thirst for aromatic, crisp, thirst quenching and pleasing cocktails. In the ninety- degree weather, a refreshing Gin and Tonic became more than just a sum of the parts. This Gin and Tonic was exactly what I thirsted for. The cocktail had tonic water, nothing fancy, Schweppes served in little bottles (nice touch) and the size of the cocktail, was one of those little tasting glasses, just enough to whet my whistle. I was sated quickly, enough to find out more about this very delicious Gin. Cardinal Gin is a new brand to the market. I like to try to discover passion in my spirits writing. It’s important for me to help the craft distiller with the brainpower and passion about what it takes to launch a distillery. I can visualize their dream and though the application of the myriad of Social Media, get their name out there in ways they never thought possible. Flavor is the major determinate. You don’t go into the spirits business to make something that tastes like someone else’s product. It’s all about individuality and American ingenuity! 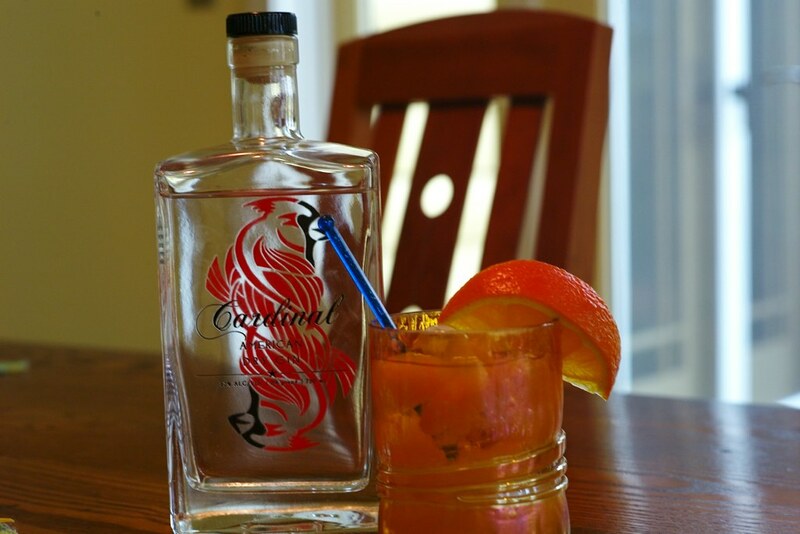 Cardinal Gin for example is all about flavor. The Company is named SAS- Southern Artisanal Spirits. I like that, the name of their company is catchy and memorable. They are located in the foothills of the Blue Ridge Mountains on King’s Mountain in North Carolina. Their ingredients are all organic- a major plus in my mind. I’ve always made an extra effort to seek out producers who use organic methods. Sure they’ve won some awards- big ones. But a Gin shouldn’t just taste good to the judges; it should also taste good to me. And in that tent, down in Charleston, in the ninety- degree heat, a Gin and Tonic made with Cardinal Gin was as satisfying as the first time I ever tasted Gin as a boy. My sip said FLAVOR! I suggest trying to find some. You can buy it down South and I think they will be in the Northeast before long. The packaging is really fantastic with the bright red cardinal bird etched into the glass, visible from the front- but you don’t drink the bottle. The flavor is reminiscent of cream, freshly cut flowers and toasted citrus. I’ve tasted many Gins, but none like this one. Griddle Lemon rounds until charred, juice them and strain you’ll need about 8 oz total so get to work! Finish with a splash of the Perrier Sparkling Water and a home cured cherry! Next PostNext Rebel Rouser or is it the Rabble Rouser?